A mediator is someone who is neutral, unbiased and non-judgmental to your problems when they facilitate the issues between you and your family or just you and your spouse. This third person, should be able to communicate without forcing their own opinions and solutions to your problems nor should they ask you to accept what the other person is saying. They should not use bullying tactics or religious beliefs to intimidate you into accepting your situation as a fault of your own. A mediator can come from any professional background but must be suitably qualified to be effective and regarded as one who subscribes to ethical conduct. You should choose a mediator that is confident, competent, and one that has years of experience and expertise. Be careful of those who verbally encourage you that they are the best in the business and that they know exactly what you are going through. You must make an evaluative choice of a mediator who does not bring his or her own personal experiences into your mediation session. Nothing stops you from doing a back-ground check on their social media interaction and where their opinions and values lie. This will show you that the mediator maintains integrity and does not divulge client information on any public platform. Neutrality: The mediator must communicate from a neutral point and not be seen as getting involved in making decisions for the people involved or giving his/her own point of view on how he/she would have handled the dispute. The mediator must maintain fairness by allowing all persons in the mediation an opportunity to speak and to be heard with respect. If you choose an attorney to be a mediator, you must ensure that they are behaving for the benefit of both parties and not be representing one of the parties while taking on the role of a mediator. Communication: The mediator must not be aggressive or abrasive when communicating with their clients in mediation. 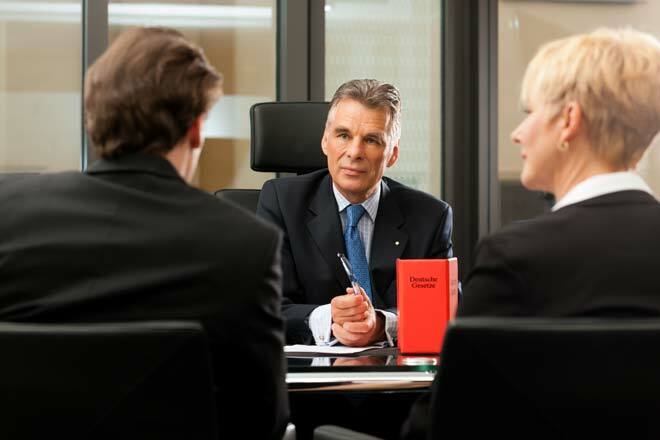 The mediator must however ask open-ended questions to ascertain more information so that the people in the mediation can understand the underlying issues affecting the dispute. Qualifications: The mediator must be trained in the specific skills of a mediator and must be able to confirm these training qualifications to their clients. Clients must do a back-ground check and look for continued training and years of experience. Look for websites that show the credentials of that mediator and it will give potential clients helpful information on the mediators’ expertise. Beware of attorneys who call themselves mediators but have received minimal training or no training. Divorce mediation for example requires extensive training because of the sensitivity of the issues involved. Costs: A mediator must be able to provide an idea of how much the process will cost. Ask questions: What is the mediator’s fee structure? How will payment be made? The general rule for payment of mediation is that both parties share equally in all costs inclusive of the drafting of any documents and additional time with the mediator. By sharing costs this ensures that both parties are committed to reaching their fair outcome. Time: A mediator must aim to resolve issues from the first session by working progressively through the issues at every session. The mediator must try to work from an agenda and allow the clients to be flexible with their appointments so that they are given time to get more information or understand each other’s point of view. Depending on how co-operative the clients are a mediation session should not prolong the dispute and the mediator must work towards acting in the best interests of both clients and not cause undue delays. The mediator must show responsibility and respect the time of their clients. A mediator is there to assist you both to feel comfortable with the decision you both reach and must provide you both the opportunity to address your concerns. Mediation is a difficult process and sometimes you will think that it would be easier if the mediator made your decisions for you. Frustration easily sets in and you might want to blame the mediator if you think you are not receiving the benefits you feel entitled to. However, the mediator is there to guide your negotiation at the pace necessary for the two of you. By engaging in mediation as a process to resolve your dispute you will learn techniques from an effective mediator in patience and communication so that the relationship you have with each other beyond your dispute continues amicably for the sake of your family. Please note that the information contained in this article are not legal advice for any particular circumstances. Did Your Attorney Advise You of Your Duty to Mediate?